Here in St. Joseph’s Co-ed., the importance of parents in the education of their children has always been recognised and valued. There has always been a strong and healthy relationship between parents and staff. The St. Joseph’s Co-ed. Parents' Association has been in existence since the early eighties. 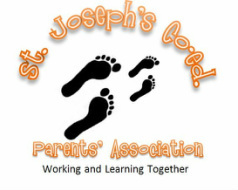 All parents and guardians of children enrolled in St. Joseph’s Co-ed. are automatically members of the Parents' Association and are eligible to join the committee which meet regularly. · To adopt a programme of activities which will promote the involvement of parents in the operation of the school, in consultation with the principal.